"It's all about education, and the big day, with these Aidan O'Brien middle-distance performers and I expect big improvement when this Galileo colt steps up to 1m4f for the first time on June 2." Until Tuesday morning, the picture for both Derby and Oaks was still slightly muddied as we didn't know for sure whether the Derby second-favourite Roaring Lion was going to line up. But it appears that is now the plan, and not France, and he has shortened into about 6/1 as a result after comments from John Gosden. Meanwhile, the participation of Oaks third favourite Sea Of Class is still up in the air. I was listening to the live feed from Breakfast With The Stars on Tuesday morning and the filly's trainer, William Haggas, wasn't asked about her likely participation, so we are still in the dark a bit there. Let's start with the Derby though, where we have a rock-solid favourite in the shape of Saxon Warrior. Well, rock-solid in the fact that he currently trades at around [1.88] for the race, and comes into the contest with the best form courtesy of his Racing Post Trophy defeat of Roaring Lion and his 2,000 Guineas victory. And everyone expects this son of Deep Impact, out of a Galileo mare, not only to stay 1m4f (his dam only ran once beyond 1m, when beaten less than four lengths into fifth in the Oaks), but possibly even the St Leger trip as well, given the Triple Crown chat. But it clearly isn't a given, and that fact alone deters me from taking odds-on quotes seriously from a betting point of view. You only had to listen to the "will he, won't he?" discussion after Roaring Lion won the Dante by four-and-a-half lengths from a sold yardstick in Mildenberger to put the stamina question into context, although the pedigree of John Gosden's colt does scream miler more than middle distances and that is not the case with Saxon Warrior. Roaring Lion is clearly a major contender, at around the 6/1 mark on the Exchange, and Young Rascal, fresh from his gentle spin around Epsom this morning at Breakfast With The Stars, is third-best in the market at [15.0]. But as progressive and tenacious as he was in winning the Chester Vase by half a length from Dee Ex Bee, he wasn't even the most impressive trial winner at that meeting for my money, but unfortunately Dee Stakes winner Rostropovich looks like he is France-bound. There are other credible contenders in a very open betting year behind the favourite - Lingfield Derby 1-2 Knight To Behold and Kew Gardens, and Guineas third Masar - but the race that interests me most going into this year Derby as a Classic-pointer is the Derrinstown. Now, I don't think you can rate it that highly in form terms - the three-and-a-quarter length fourth Platinum Warrior was officially just on 96 as he lined up - but I'd be pretty sure that the first two home are going to make their mark at Epsom. Or, more accurately, the runner-up Delano Roosevelt. Don't get me wrong, the winner Hazapour is clearly an exciting prospect. He was a 16/1 chance when taking that Group 3 on his reappearance and there is no shortage of stamina in his pedigree. He may be by Shamardal but his dam won over 1m4f and is from the family of Harzand. However, I have been very taken by both of Delano Roosevelt's runs this season, and he looks primed - and I know that seems a silly thing to say about a Derby candidate, as they all will be - to peak at Epsom. He could just be a deceptive horse in that he needs a lot of kidding and coaxing, and there isn't that much left in the tank as it appears, but he certainly wasn't given both barrels when chasing home Saxon Warrior in the Beresford last season. And he hasn't been given a hard of time in chasing home Nelson in the Ballysax, and Hazapour at Leopardstown, and I felt he could have won both races with stronger handling. But it's all about education, and the big day, with these Aidan O'Brien middle-distance performers and I expect big improvement when this Galileo colt steps up to 1m4f for the first time on June 2. He clearly has to progress a good deal to match the form claims of his premier stablemate, but at [19.0] on the Exchange and 16/1 each-way with the Sportsbook he makes the most appeal to me at the moment by some way, so he rates a bet. I'd be inclined to back him each-way at 16/1, rather than take the win-only option on the Exchange. Oaks favourite Lah Ti Dar has the pedigree and potential after two wide-margin successes over 1m2f, and you suspect that she will come into her own over this extra 2f. And concerns about her on fast ground will be negated by the fact that Epsom is normally well-watered (if needed) on the Friday. She will get at least good ground, one way or another. Good luck if you are on her at big prices, but she makes limited appeal at her current odds, even if the Sportsbook offer an industry-best 5/2 about her. In form terms, there are a few in here that can at least match her, notably second favourite and Guineas fourth Wild Illusion, whose dam won over two miles. The Cheshire Oaks 1-2 of Magic Wand and Forever Together, recent Blue Wind winner Bye Bye Baby and Magical, are O'Brien fillies with leading claims - he is responsible for 11 of the 21 entries - but the one that caught my eye last week was Haggas' Sea Of Class. And a fair few others too, it seems. Runaway 12-length Salisbury novice winner Sun Maiden (by Frankel out of Midsummer, and therefore a half-sister to Midday, among others) was deeply impressive last week, but indications are that Sir Michael Stoute may play a waiting game with the filly. That was also the fear with Sea Of Class after her Newbury success last week, which is why I guess one bookmaker offered her at 25/1 immediately the race. Punters have dismissed those no-show concerns, it seems, and the filly is now a general 8/1 chance for the Oaks, though she is currently a double-figure price on the Exchange at [12.0]. Certainly, she should be taking her chance after that stylish win, as the race is eminently winnable. She was only beating an 80-rated Athena at Newbury, but the runner-up was always going to improve for better ground and longer trip, and there was another five lengths back to Crystal Hope (who had beaten Sea Of Class' stablemate and Musidora winner Give And Take by three lengths in her previous race at Sandown). She did not look short of speed there, and she stills holds an entry in the 1m Coronation Stakes at Royal Ascot, but, boy, was she impressive. She won going away in the style of a high-class filly and her pedigree gives you every hope, indeed expectation, that she will stay 1m4f as she is by Sea The Stars and a half-sister to a whole host of smart middle-distance performers. I suspect she could give the favourite, and the O'Brien battalions, something to think about at Epsom, inexperienced after just two starts or not. But it has to be a watching brief in the absence of a confirmed green light. 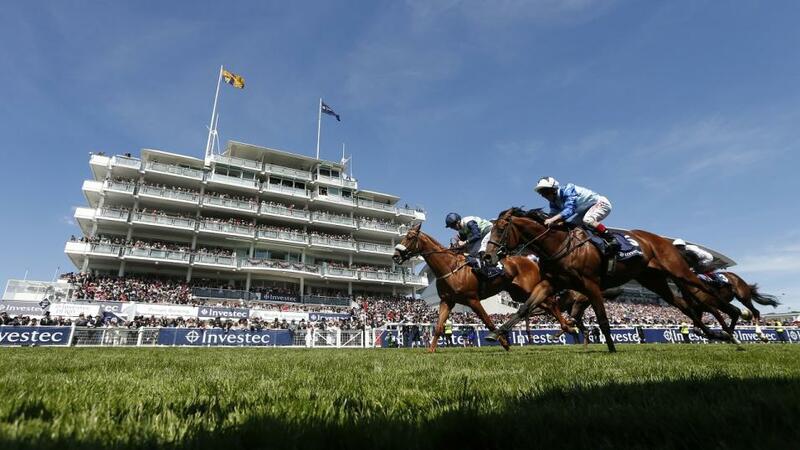 The trainer apparently said at Epsom on Tuesday morning that he thinks the race may come too soon for her, but that the owner (who he hasn't spoken to yet) had e-mailed him to say that 'there is only one Oaks'. Discussions to be had, and all very much up in the air, then.